View more presentations from davidscohen. An article on networking and keeping your personal brand aligned with your professional brand. The three Rs: Recognition, Reputation and Reaction, are used to explain the principles of branding. A primer for getting started with your first blog and how to approach as a means to support your personal brand. Don’t rely on a first impression. Understand your difference. Why be different? Tell your story. How are you different? Understand difference through context. Context continued. Exploring how frames change opportunity. Focus – energy, attention and action. About 350 doodles in 30 seconds. If the drawings on this website and in this video make you grin why not share one? 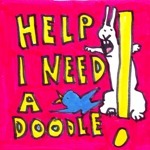 I added a free ecard system so you could send “doodlegrams” to anyone you’d like to share a smile with. 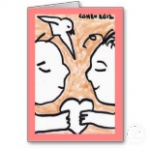 Just look for the words Send as eCard below any of my doodles on the blog.